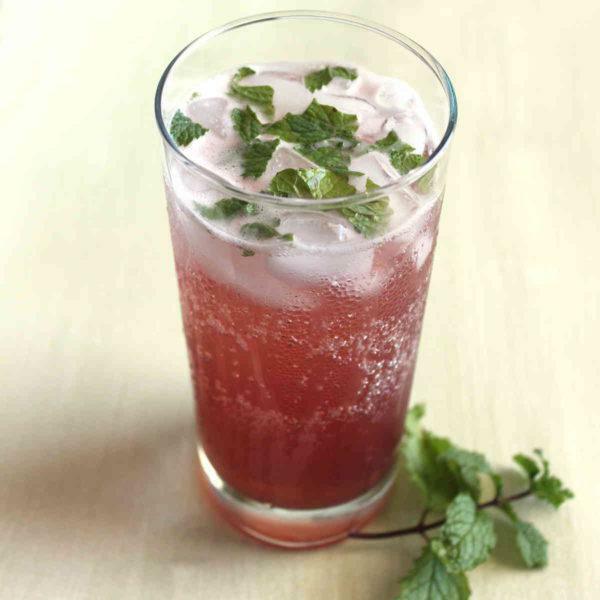 The Mojito Diablo mixes tequila with creme de cassis, mint, lime, brown sugar and 7-Up. The resulting taste is a mint-lime-berry fusion with an underlying richness from the brown sugar. This drink is a great alternative to the traditional Mojito. The mint and lime of a Mojito can be a sharp contrast, and the touch of cassis and brown sugar brings it all together deliciously. This drink is sweeter than the Mojito because it has creme de cassis and 7-up in it as well as brown sugar. If it’s a little too sweet for your preferences, you could leave out the brown sugar. Or you could use Diet 7-Up. That way, you preserve the molasses flavor of the brown sugar in the drink. You could also use any lemon flavored sparkling water instead of the soda – I like LaCroix Lemon, although some people prefer Lemon Perrier. You muddle the mint leaves with brown sugar and lime in this one. Remember, the longer you spend muddling, the more mint flavor you’ll get. Be sure to put enough pressure on the leaves, too. And if you couldn’t buy fresh mint and had to settle for packaged, check out my tip for reviving tired-looking mint leaves so they look good enough for a cocktail garnish. It’s very simple, quick and easy. 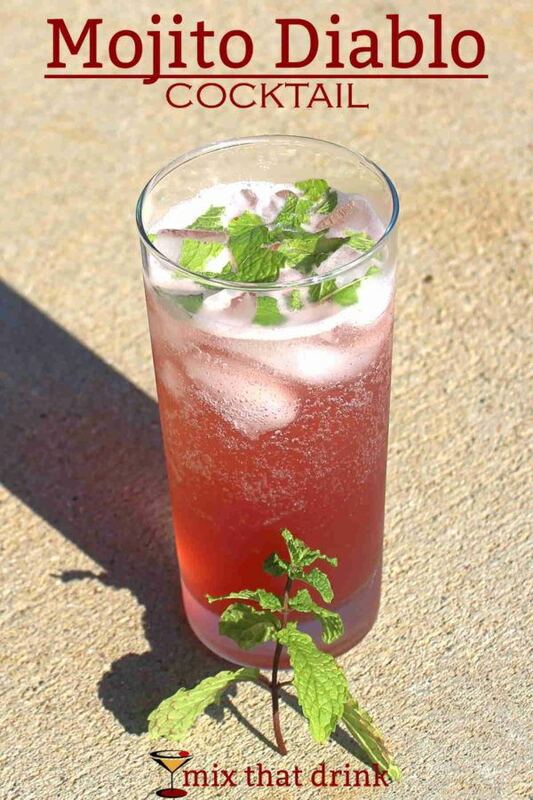 In a collins glass, muddle the brown sugar, lime juice and most of the mint leaves (reserve a couple for garnish). Fill a cocktail shaker with ice, pour in the tequila and creme de cassis and shake until chilled. Pour the mixture, ice and all, into the glass and top with 7-up. Garnish with fresh mint.